This topic is really taking off. been studying the dangers posed to the whale by commercial shipping. protection for the whale from commercial vessels was being held up. their speed to 10 knots in areas where the whale is known to inhabit. I got asked to comment on this by CNet and UNH but stayed silent. company had "nothing to announce right now." fly through the water and explore ocean canyons yet." the map with high-resolution images for more detail. 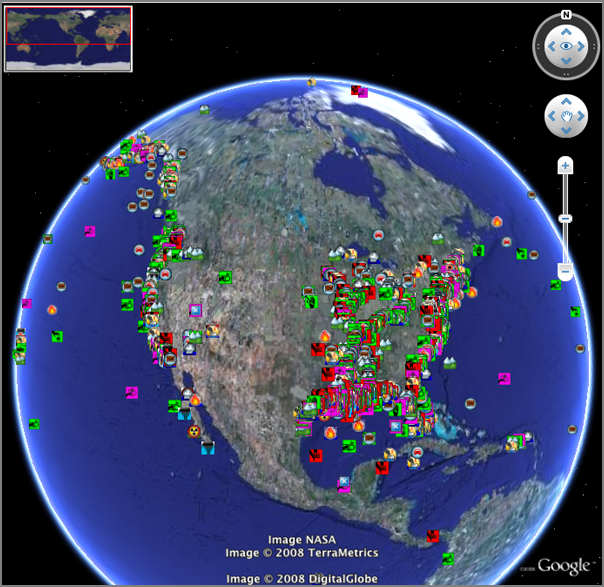 NASA provide additional data for Google Earth and Google Sky. Yes, Google has gotten an earful from many of us about not being able to have bathymetry/geometry below the geoid 0 elevation. And since I am sitting in Science Operation Center (SOC) for Phoenix, we'd like to have Google Mars (more than just the Google Maps version). See also: Google Goes Back to 1500, Plans to Map the Oceans [gizmodo] - Under water photography??? I think they meant multibeam bathymetry, but a photo mosaic that big would be awesome. That'll keep Yuri busy for a long time correcting images. We are currently in simulated EDL (Entry, Decent, and Landing) for the beginning of ORT 10 (Operations Readiness Test). 26 days until we actually land on Mars. see some 1,500 ships pass through every year. 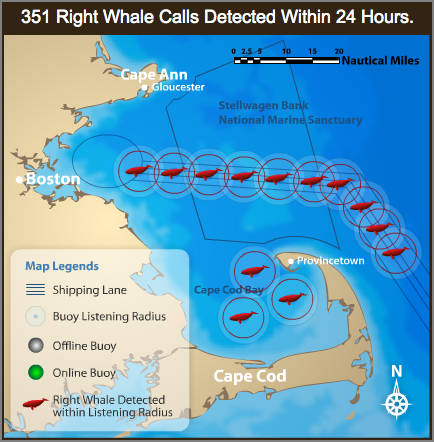 Atlantic right whales were in the bay earlier this month. hours according to the research Web Site. What is the real solution to this trouble with python? How can I get something sane that works as UTF-8 when I'm getting all sorts of input? Janice sent me: "UXO within Isles of Shoals(?) 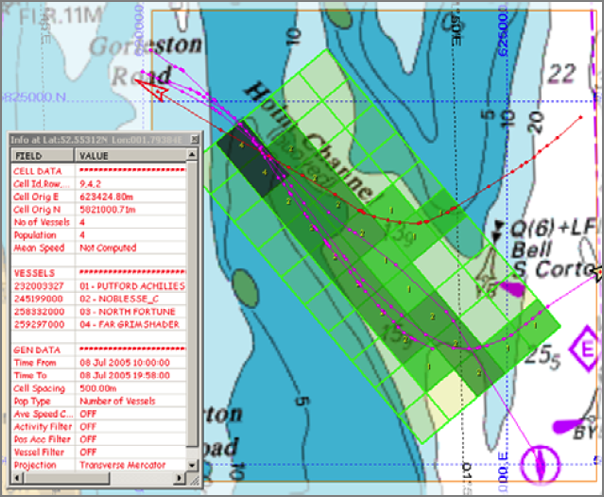 Ever wondered why Duck Island is listed as "Restricted Area" on NOAA Chart 13283?" using the island as a target. 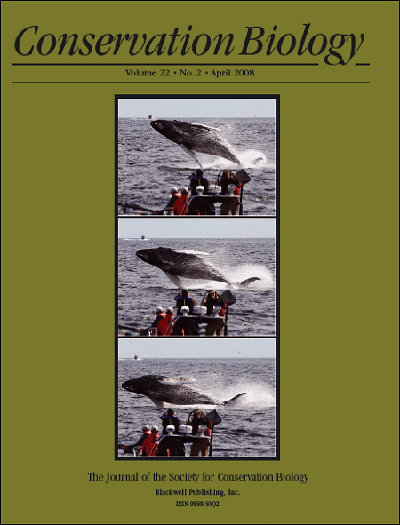 David N. Wiley et al., Effectiveness of Voluntary Conservation Agreements: Case Study of Endangered Whales and Commercial Whale Watching, Conservation Biology, 22:2, 450-457. 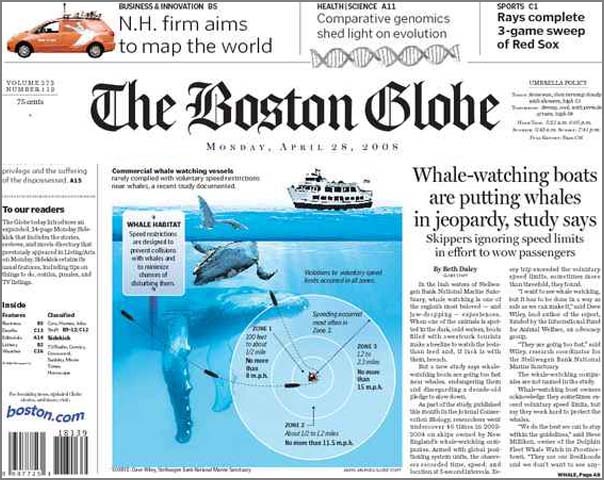 This made the Boston Globe today: Whale-watching boats are putting whales in jeopardy, study says. setting so that GeoDjango's `inspectdb` command is used instead. is redundant if you're using WGS84. The second was a response to a fink tracker item on php 5.2.x by James Marten. He reports that my php 5.2.5 package has been working for him. He mentioned adding --with-readline support to the build for php-shell. I've updated my php5 info file to include readline. Additionally, I switched if from libtool14 to libtool2. This may only impact php5-mcrypt. From my quick look, I didn't see any mention of python and they do mention Excel. I try to encourage students to learn tools that can grow with them. Excel is not a tool that can really grow to the level that advanced research often needs. Excel can do some amazing things, but I would de-emphasize it. How did I miss this one? Thanks to Phil for sending me a reference to the book. 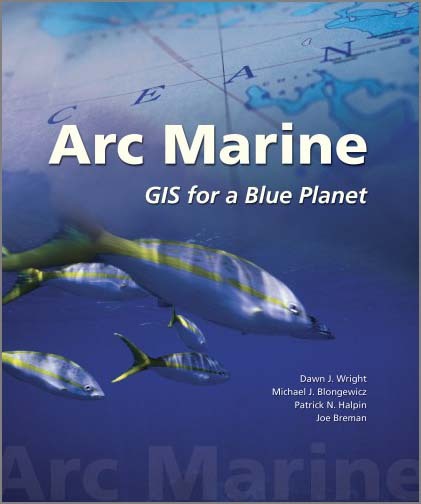 I have a copy of Undersea with GIS. further explore the capabilities of the data model. conservationists, geographers, nautical archeologists," and more. Coast Guard District, "The Arctic is upon us now." 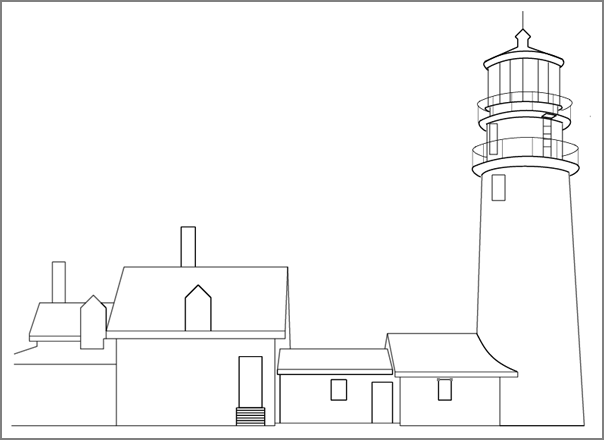 I just finished another schematic/illustration of a light house. 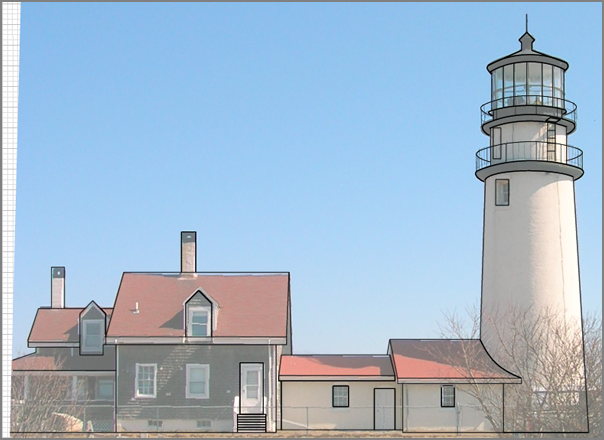 This one is Eastern Point Light. This is based on a photograph and is definitely not the exact proportions. I'm trying to keep up with everything and it is definitely challenging. I've started looking at FastCGI for Mapserver. The fastcgi.com code is a bit frustrating from a build point of view and has a strange license. Grass 6.3.0 has been released. Grass on Windows... "the new wxPython user interface is debuted". Here is a quick check point on where I am for low level reporting of ships. This is the easiest method. My other method runs through PostGIS. First grab some data. Use grep to only pull AIS VDM messages. 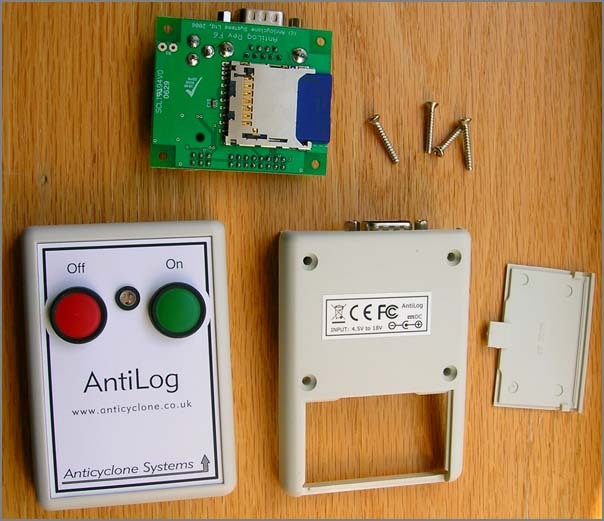 We don't need the control/status NMEA messages coming through the system. Now we need to convert the data such that each line contains exactly one message. The input NMEA string has multiline messages (e.g. shipdata) that are just not good for parsing. 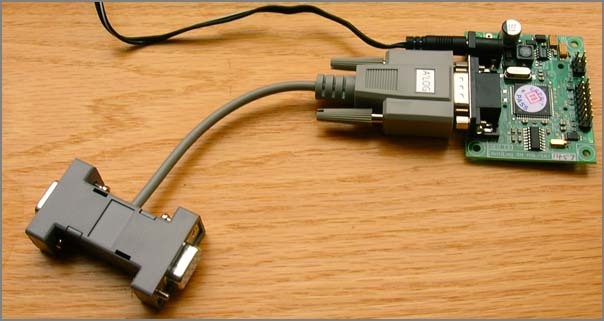 This violates the NMEA maximum line length, but that doesn't matter. Now dump the data into sqlite3. We don't really care about the database other than as an intermediate format. That give use 33 position messages (1, 2, and 3) and 4 shipdata messags (5) Note that at the moment the is a bug with the timestamps. I know, but haven't had a chance to fix it. Also take a look at sqlite3 that uses the sqlite3 driver built into python(>2.5). The data is now easily accessable, but not human readable. Time to dump the database tables formatted somewhat nicely. This will be tab delimited. You can check out the full list of fields with sqlite3 ais.db3 .schema. The above command is a bit tricky. The second tr (translate) changes the annoying '@' characters to spaces, making strings easier to read. I also did a numberic and unique sort of the vessel UserID (aka MMSI) so that there is only one report per UserID. Now to make comma separated files (csv) for import to MS Excel, Numbers, gnumeric, oleo, or OpenOffice. Remember, this leaves out the Class B reports, not that we get many in the US yet. See AIS, this 'n' that #7 [Panbo] for commentary on the FCC not yet approving AIS Class B. WARNING: This post needs verification. Please let me know if you see something wrong. If you wipe your Linux partition with this don't blame me. You should try it in scratch VMWare Ubuntu image or something similar. WARNING 2:This is most definitely not a good way to build a deb. I need to figure out dh_make (from the dh-make package). The following is on a Ubuntu 8.04 beta install on a Intel machine. After reading lots of documentation and getting all turned around trying to package some python software for Ubuntu, I decided to strike out on my own. I looked at what fink does and modelled my process after that. 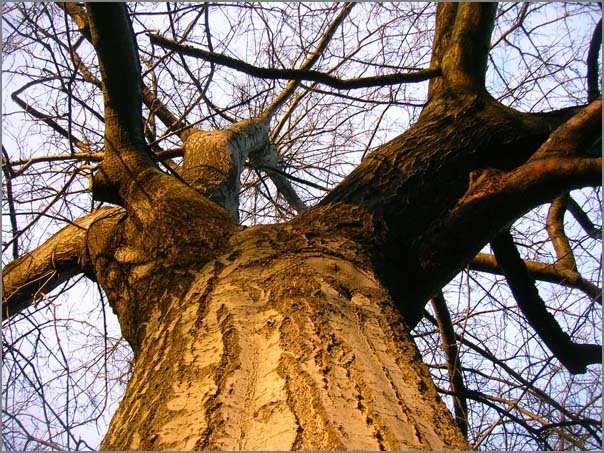 Basically, I need to create a sub-directory tree with a DEBIAN directory containing a 'control' file and a directory tree that matches the root of the Debian tree. The root for fink defaults to sw and on Debian is will be usr (/usr). The first step is to clean up from any prior installs. Installing creates a build directory. Remove that. Also, to match Ubuntu's package naming, I am calling this python-noaadata. With Fink, the convention is noaadata-py25. 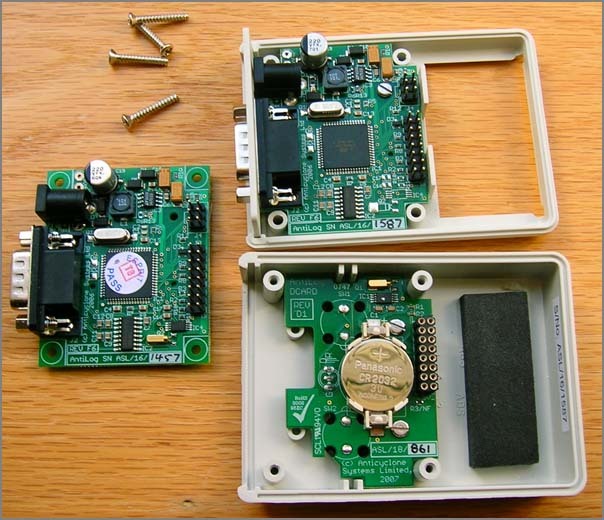 the NOAA PORTS/CO-OPS waterlevel data through both SOAP and OpenDAP. I got Architecture from dpkg-architecture. Now we need to inspect that deb that we just created. size 761392 bytes: control archive= 523 bytes. Selecting previously deselected package python-noaadata. Now remove that package that you installed. 0 upgraded, 0 newly installed, 1 to remove and 130 not upgraded. After this operation, 3539kB disk space will be freed. This is not something that is talked about much and I think the dates are wrong on the web page. will utilize the Piscataqua River and a terrorist type scenario. participation, is scheduled to take place in Portsmouth in June, 2008. Note that the emphasis is mine. 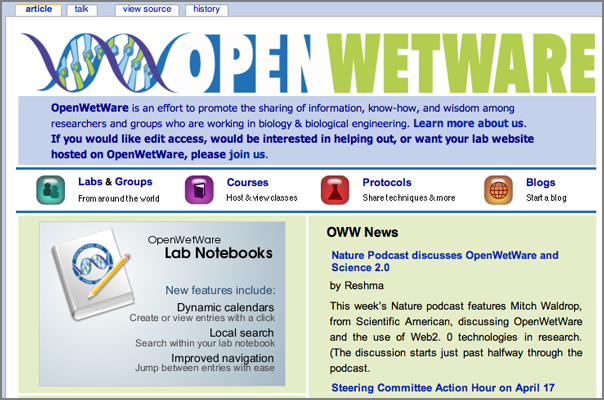 At CCOM in March, Brian C., Nathan and I kicked off an internal wiki for out research group of about 80 people. The results to date have been very good. I have been a heavy user of the Administrative pages lately. 203 pages that are probably legitimate content pages. 93 files have been uploaded. and 1.92 views per edit. One thing to remember that there is almost no such thing as a "finished" wiki page. 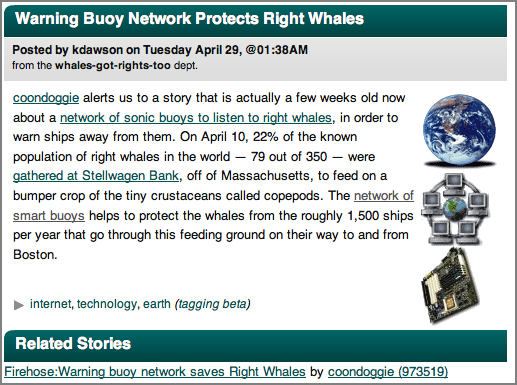 This made slashdot, so for most of you, this is a repeat. However, in grepping my notes and blog entries, I found only one reference to an Open WetWare article and that was to Parameter Estimation Discussion Feb 05 from Python All A Scientist Needs in my private notes. Scientific American has an article on Science 2.0... Science 2.0 -- Is Open Access Science the Future? - Is posting raw results online, for all to see, a great tool or a great risk? 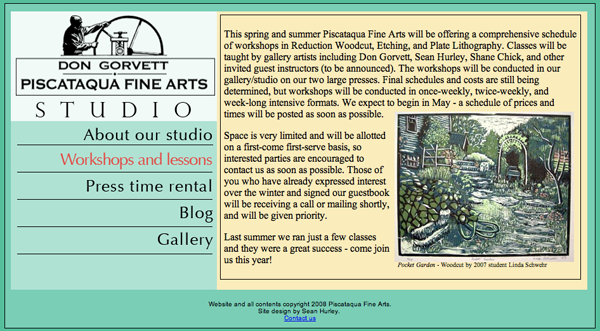 started posting pages introducing themselves and their work. "that information also became available around the world." the proposal for the marine debris research group in 2005. Just talked to Dave Monihan about Google Earth. He attended the AAG Google Earth section. Quite a few things came up in our discussions and I'd like to highlight 3 things. 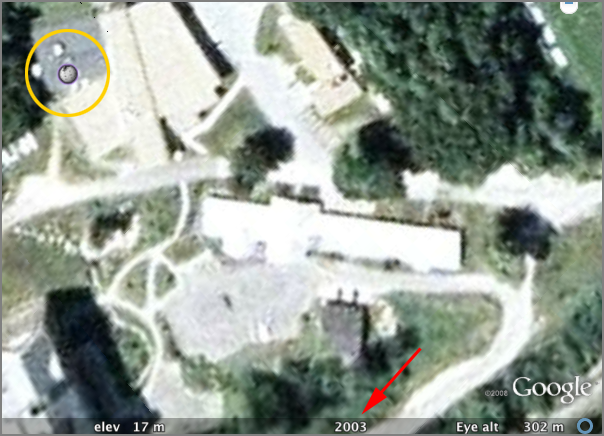 First is that Google Earth will now tell you when the imagery was acquired. 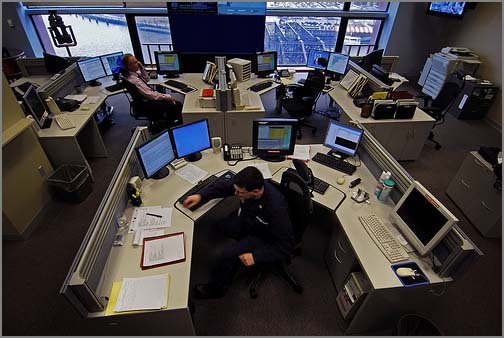 In the image below, you can see that they think they took the image of CCOM during 2003. My second item is another feature of the above image, contained within the Wikipedia layer. 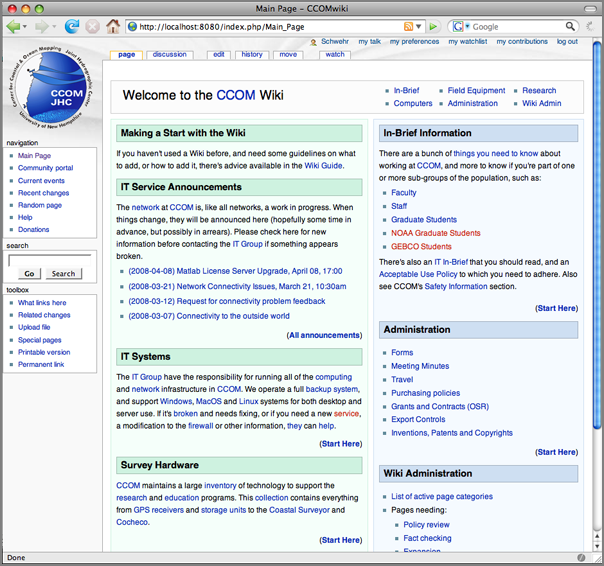 Notice that there is a Wikipedia Icon over CCOM. I created a CCOM wikipedia page on the 2nd of March this year. 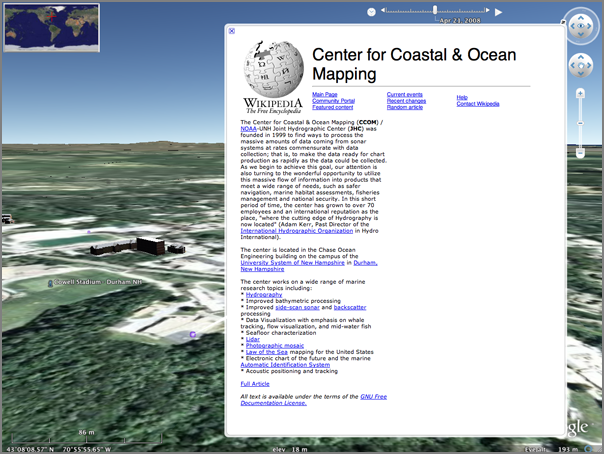 Google has scrapped the geographic location out of the wikipedia page and added it to Google Earth. 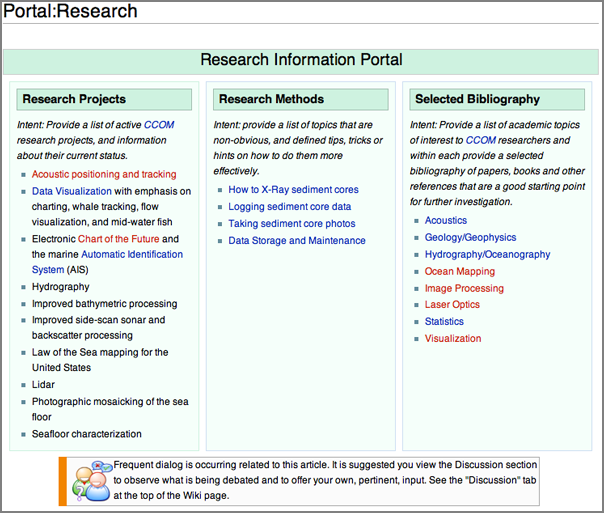 I encourange people to create Wikipedia pages for other research groups and update existing ones. My last topic is terrains in Google SketchUp. 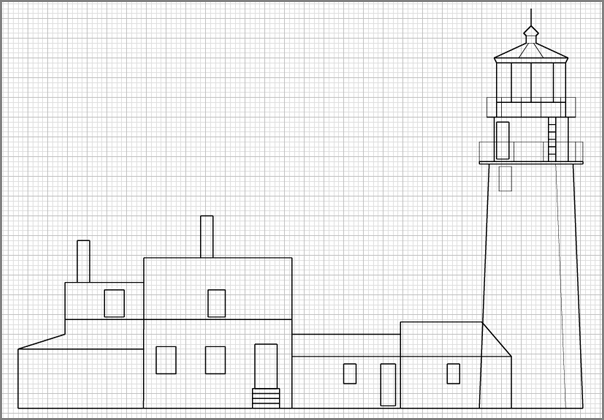 There is a module called SketchUp Sandbox Tools that Dave told me about. I have not had a chance to try it. Can't believe I haven't blogged about this before. I converted the MISLE database as released by the Bureau of Transportation Statistics to a KML back in the summer of 2006. I first tried a custom dump of the MISLE db that the USCG did for me. Turned out to be better to stick with the official CD releases (now on the web). I was not looking at environmental issues at the time, so I removed all of those (which would dominate the display). 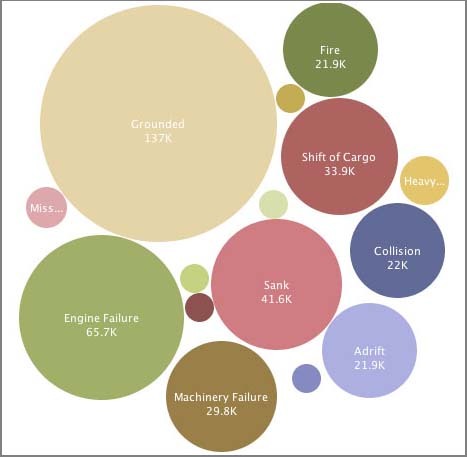 Here is my representation of the 2006 version of the data. I really need a better set of icons. If anyone knows where I can get better icons or is willing to donate, please let me know. I chucked in some OSHA symbols done up JWZ style along with a few icons from the Google Earth catalog. They are definitely confusing. The nuclear symbols are not related to nuclear events. They are Abandonment events. There are two symbols that worked well: fires and explosions. 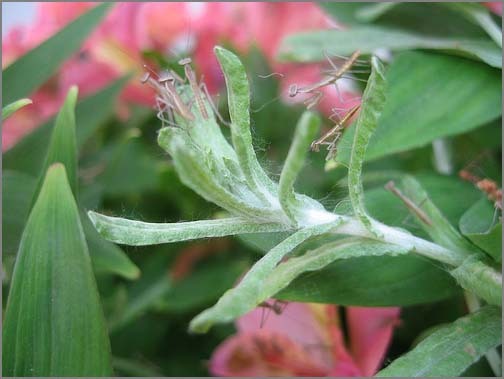 Here is a closeup view near New Orleans of an allision. Sometimes it's hard to tell if there was one even with a fire, allision, medical emergency, and so forth, or if this is a really dangerous part of the water way with many events. UPDATE: I did a 'sudo apt-get update' and uncheck and check the static interface active icon and the 'auto eth0' line in /etc/network/interfaces. The solution is to add the bold line below. Replace 10.0.0. with your local network config. QUESTION: How am I supposed to control init scripts on Ubuntu. Not all of them appear in the Services GUI. And I'd rather not use a GUI. Is there no chkconfig equivalent? I remember learning that on IRIX 5 way back when I was learning to admin SGI's back in 96. Or you use BUM (Boot-up-Manager). to the synthesized standard-cell RTL chip representation. Val pointed me to IBM's ManyEyes. Upload your data for all to explore. In which, you can see the speaker use a card board box for a podium. U.S. Coast Guard in Boston. 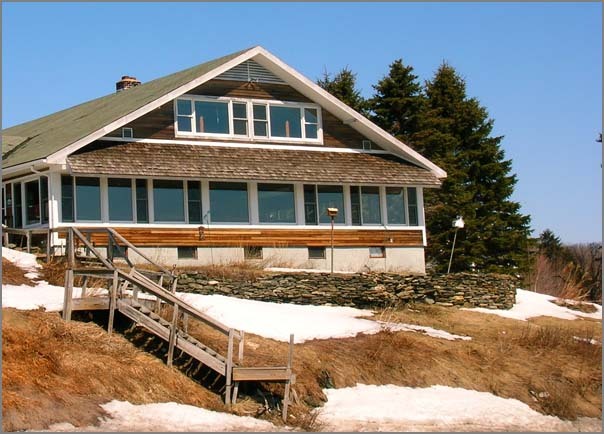 New England market, or nearly 20 percent of regional demand. Massachusetts until sometime in May. for delivery to an LNG terminal in South America. 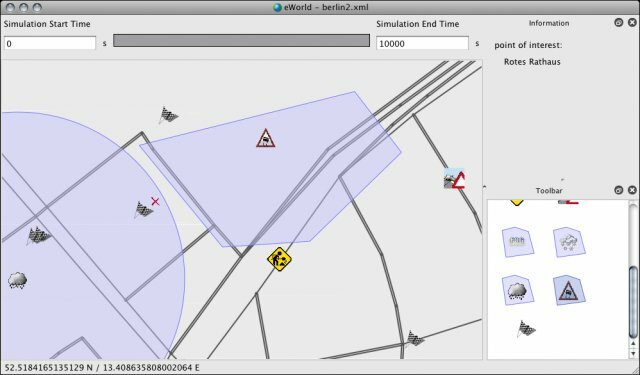 eWorld is a java app that can handle OpenStreetMap data. 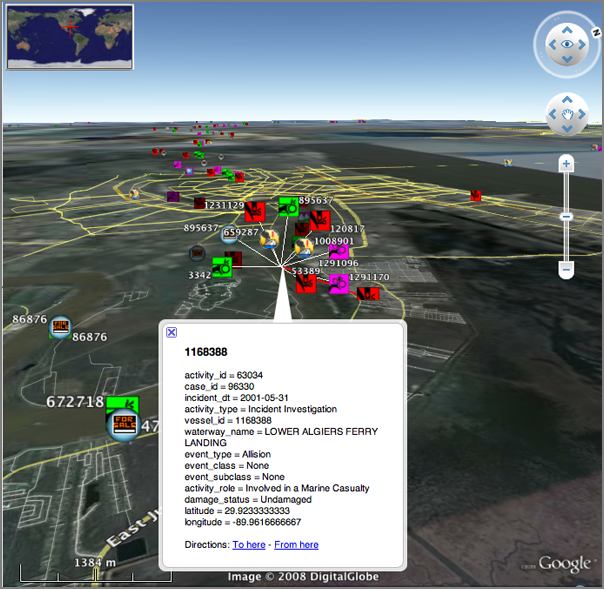 Perhaps this will help me figur out how to get the OSM data so I am not dependent on just their tiles. And, I should make sure I am helping out for the areas that are critical for my work. Can we add chart info to OSM? It would be great to get the traffic separation scheme, lights, and buoys into OSM. Right now, all of the buoys have active detects. Wild! - A few small changes were made to improve DB-API compatibility. All the dbapi20 tests now pass. and infrequently used so this should improve performance. used to detect deadlocks and statement timeouts respectively. buoys and unload actual natural gas into the pipelines. 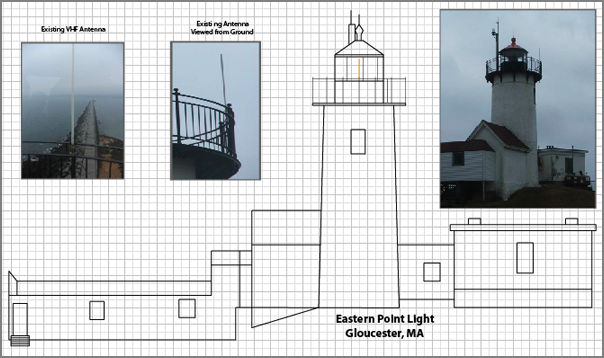 REQUEST: If anyone has a schematic / architecture drawing of Highland Light, can you please send it my way? 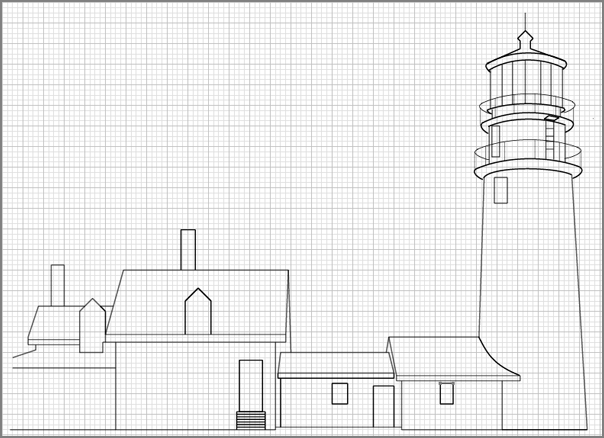 I redid the whole thing much quicker in a orthographic view. Illustrator is not the right tool for this kind of figure. I have yet to try this, but it is very exciting. SpatialLite enables sqlite to support spatial data using the OGC's standards. Supports WKT and WKB. (Not all functions are available). VirtualShape allows sqlite to access shapefiles. To use django, I need to brush up a bit on my Python regular expressions. I've wanted to get comfortable with the python regex module (re) for quite some time. I am a heavy user of egrep, but there is different feel to the python re world compared to egrep and shell globs. I remember Jeff Ullman teaching regular expressions with egrep and lex (now flex) in Intro To Computer Science using his text book Foundations of Computer Science (unfortunetly, I have the Pascal edition). Perl programmers are assumed to know regular expressions. I think python programmers should get more exposure to regular expressions. First a quick use of the handy sub function. I often use tr to replace characters. Here is converting tabs to spaces with tr. Then getting to more complicated tasks, kodos is a really big leg up. 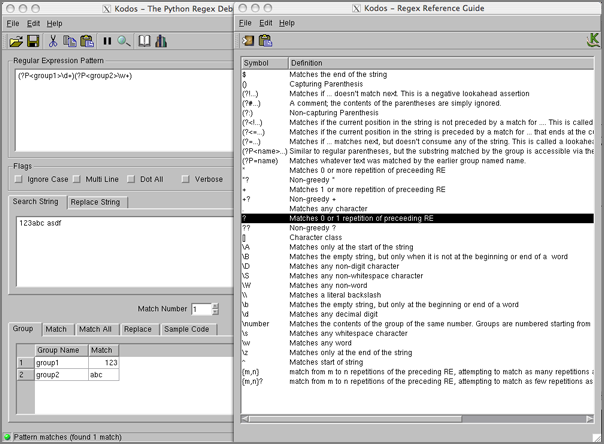 It provides a GUI environment to try regular expressions and it shows the results as you type. There is "Regex Reference Guide" hiding under the help menu that makes things much easier. It can then give you sample code when you are done. Remember that you probably want to use raw strings to reduce the number of backslashes in your string. to set itself down safely onto the Martian surface. 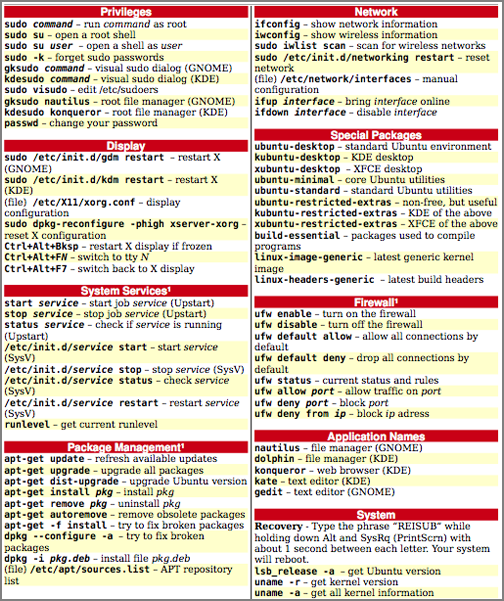 emacs would be in there, but it is just always running or spawned by things like nb. Weird... it looks like I don't know where I am most of the time with all those pwd commands. I just got asked what I think of trac. Here are some of my thoughts. Development has been quite rapid. You probably want to start off with the 0.11 betas. The integration between changes in svn, bugs, and the wiki is AWESOME! Make sure to run the svn and trac setups on the same server or you will have to use something like svk to sync from your svn server to trac which is slow and annoying, but works. The wiki is sufficient, but after doing a serious roll out of mediawiki for our non-dev folks, I wish trac was as powerful. However, for coding issues trac is better than mediawiki. Attaching files is clunky in trac, but it does work. Friday, April 11th, 2:00 p.m.
Looks like I had better get a TWIC. Somehow I though I'd get away without one. What was I thinking? Yet another ID for me to carry around. Now, for work I will have 5 forms of ID that I have to use. sea and would not be supportable. 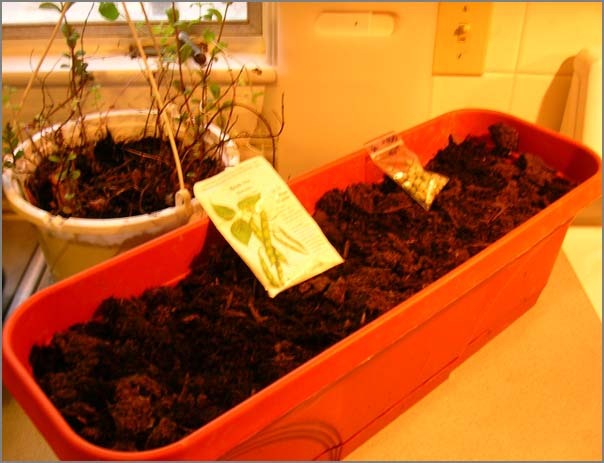 I just started my first seeds of the year: bean pole romano (Phaseolus vulgaris) and snow peas. 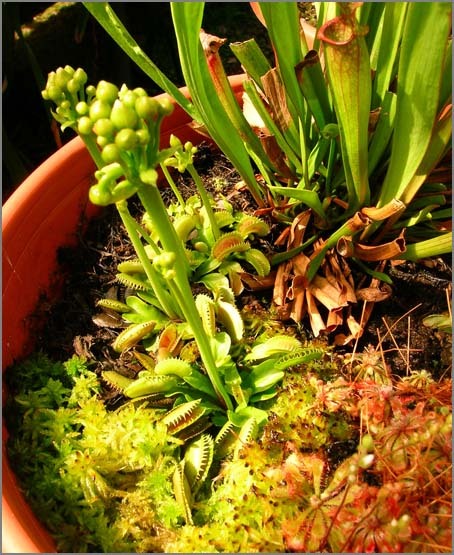 These can't go outside until mid-may, so they will just have to live in my kitchen. The mint is recovering nicely after I seriously abused it last fall. My neighbor's rubarb and garlic are just starting to poke up through the ground. I got an unusual present from the neighbors... a UNH float. Tomorrow it will make its way back to the owner. Apparently, this washed up in New Castle today. 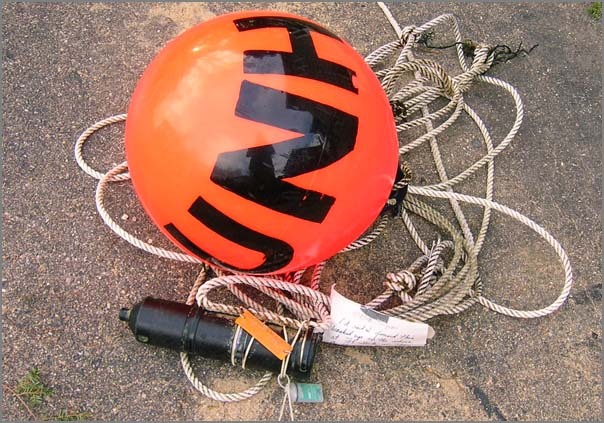 UPDATE: The mooring came from Win Watson's lab and is now on its way back to them. Using the admin interface, I have a quick prototype of what I'd like the basic report web page to be for AIS position reports using geodjango. It seems that search only works for text. Is that true? search_fields = ('userid',)  # Broken? I think rather than position, people will probably want distance from some stored location or region (e.g. distance from the TSS). REQUEST: If anyone knows who the point of contract is for this project at Fugro, please let me know. Fugro is an industrial partner with my group (CCOM), but it is a big company. Last year, I added code to noaadata to do basic occupancy gridding of AIS vessel tracks that treat a vessel track as a line and provides for a tunable absence time to separate tracks of a particular vessel into "transits." Mike Thompson then turned the grids into nice visualizations using ArcGIS. Here is a sample. The full grids are currently in a submitted journal paper out for review. I'm also trying to find time to work up additional algorithms beyond just counting transits across the cell. 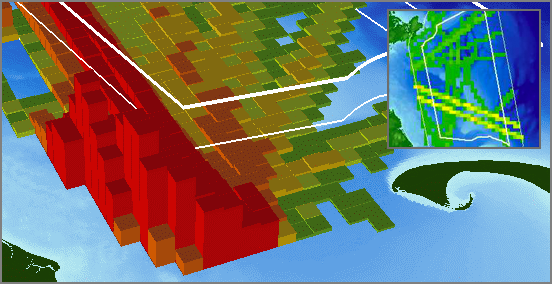 I just recently saw ChartViewAIS [PDF] by Fugro that has AIS track gridding. Looks like they support arbitrary orientations of grids which is pretty but not hugely useful for our analysis. 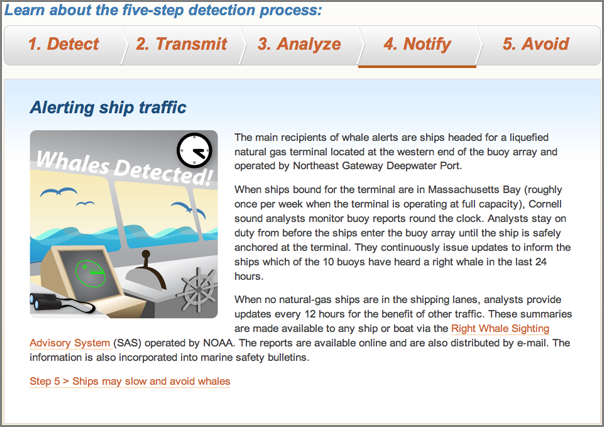 I've managed now to get GeoDjango to work with my ship reports table! This is a big deal for me. I'm trying to make a reporting and summarization tool. First I tried to just connect to the database to see if the gis contrib module hijacks the database cursor. It clearly does not. ERROR: Magic function `hist` not found. Enough of that. On to a working example. I had loaded some AISdata into postgis in my last post about geodjango. Now I want to really see it! I've turned on the Admin interface and it knows to decode the WKB to WKB (aka AsText). This is the behavior that I would hope for. I think this is better than fields for x,y that would explode for other geometry types. This is a really neat idea. There was one in Feb. in Boston. I needed to get a 2nd serial logger, so this time I got the non-oem version. Here are photos of both the OEM and one I just got. Looks like I have to add a cable if I want to drive this with a 9V battery. 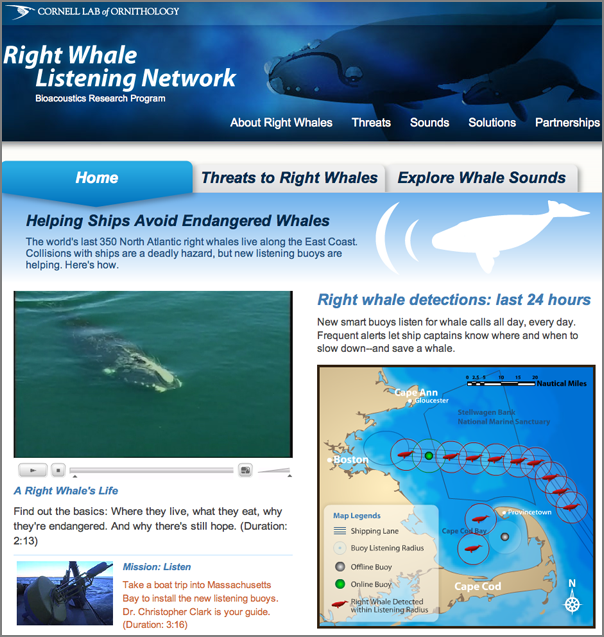 Today the Cornell Lab of Ornithology Bioacoustics Research Program (BRP) released the Right Whale Listening Network [listenforwhales.com]. 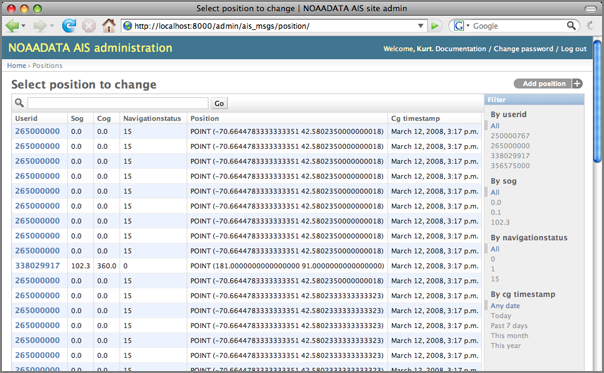 The first thing to do is to get your databases up to this version of postgis with the right libraries. I don't have an existing db on this machine right now, so I do not have the best notes for it. 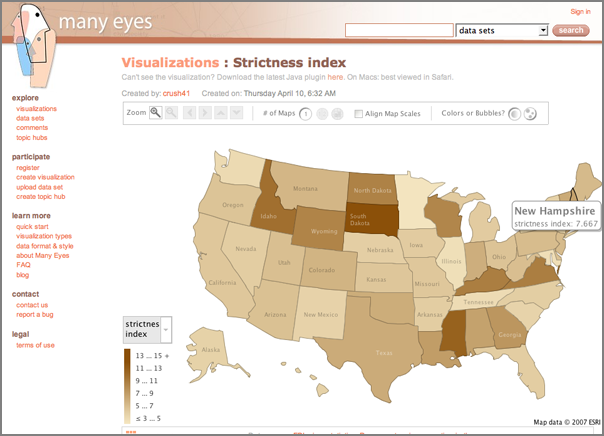 Load some pre normalized AIS data and build the tables at the same time. Since I already have a database setup, I can have django output what it things the model file should look like. Apparently, this does not know about the postgis extra tables and field types. It creates models for SpatialRefSys and GeometryColumns that I do not need. I only have one spatial field in the position table called position. Note that it outputs it as a TextField. position = models.TextField() # This field type is a guess. I then modified the models.py. In bold are all the lines that are different from the priliminary version. The most important change is to switch out the first line and import the models from geodjango. Otherwise, things like PointField will not be understood. Then position gets an overhall. I changed it from a TextField to a PointField and added a srid/EPSG of 4326 to say that it is geographic WGS84. Nice! I have a bunch more to do to make this into a full application. The install is able to run the above commands and passed the three tests at the bottom of the GeoDjangoInstall page. However, that doesn't test actually working with the coordinates. 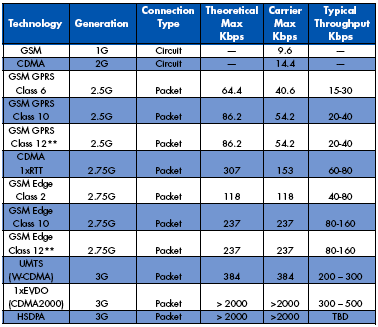 I just read this Digi article: Remote Wireless Networking 101, Everything You Need to KNow to Select and Deploy Devices on CDMA and GSM Networks. This is a nice table summarizing the history of services. Anyone have feed back from using this kind of system? 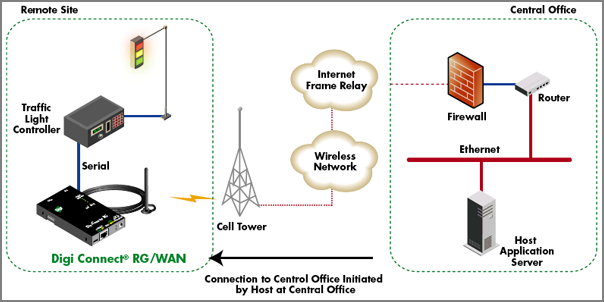 I'm controlling a single serial device and have unobstructed line-of-sight to a cell tower 2 km away. I had 3 bars from the site with my USB720 and my dual 800/1900 CDMA 1X-EVDO phone. Connecting to the internet with the USB720 went quite well. Too bad I forgot to write down the signal strength. Yesterday, a couple of us made it down to Salem, MA for a bit. Neat place. We definitely need to get back down there for Halloween. 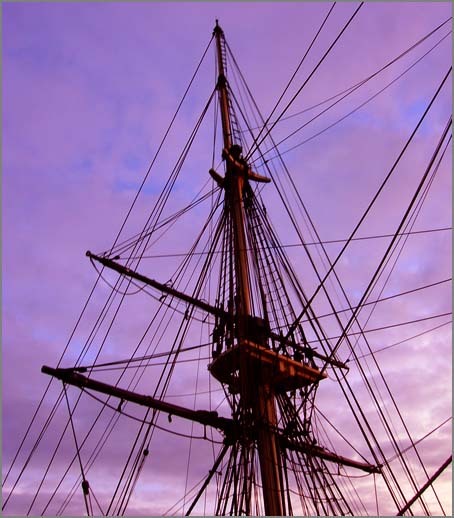 A tall ship is moored at the old stone docks. The grave yard has lots of great creapy trees. BTW, This is the rough location of the NOAA tide gauge in New Castle, NH. rely solely on any single aid to navigation." This is something I have wanted to do for about two years and it is nice to see that somebody beat me to it... 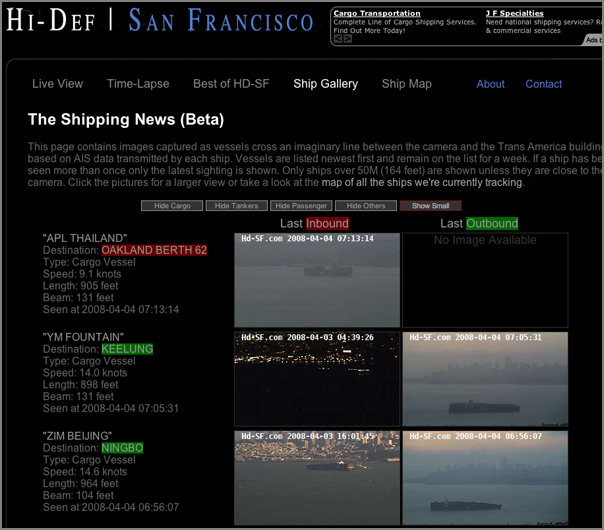 I wanted to setup a camera in New Castle and capture and image of each vessel that showed itself transiting infront of the camera via AIS. Here is that idea, but for San Francisco. I just finished a visit to the Bioacoustics Research Program (BRP) at Cornell. The drive back was a little less eventful. Here is a house on Hwy 9 in Vermont. and will transport the cargo to the Northeast Gateway terminal. 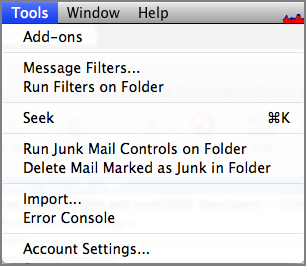 Eric S. from the BRP pointed me to Seek, which is a plug-in for the thunderbird mail client that tries to help you cope with lots of email. I've installed it and played with it for a few minutes. Seems pretty cool. I randomly discovered that with firefox, you can give it multiple pages for your start page and it will open them in separate tabs when you create a new window. Just separate the URL's by '|' characters. 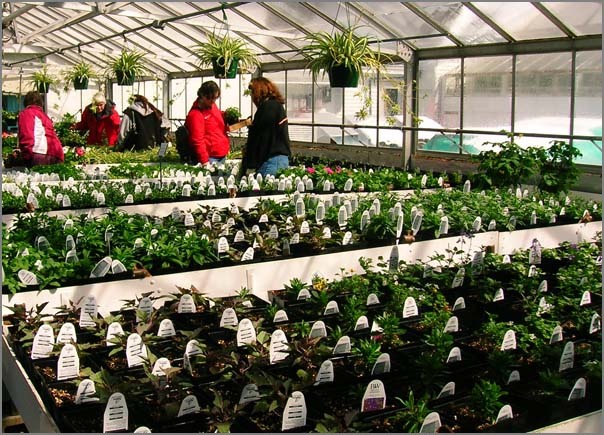 Last weekend, the UNH Greenhouse was open to the public. The temperatures and wind outside made for biting weather. However, inside felt quite tropical. 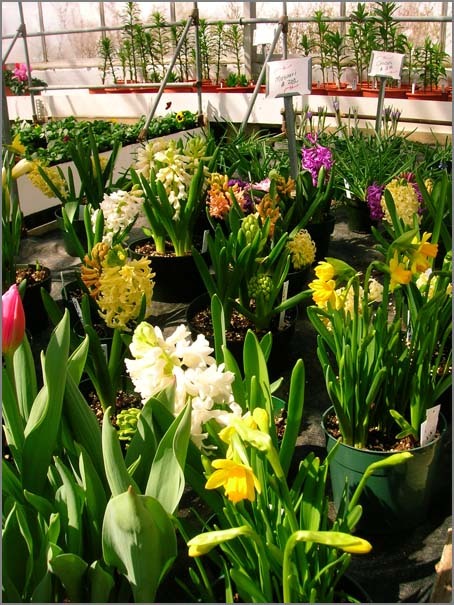 And I have to post a picture of flowers. This week, I visited Cornell for the first time. Great trip! The drive west was eventful. The weather suddenly got warm and the snow went straight to fog. However, the driving was a lot easier using a borrowed garmin unit. 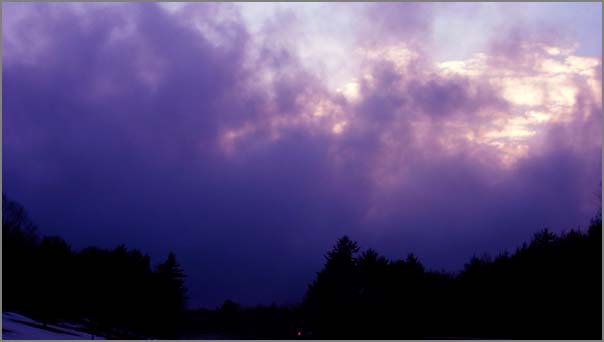 The day didn't end with a sunset, but the clouds were quite dramatic. The Linux Gazette has an article Searching for Text (Part I) that covers doing searches for text. Strange that there is no mention of grep, but an excellent starting point. Then MySQL and finally PostgreSQL. and configurations to use whatever language you need to.